Darshan is an attorney at Meriwether & Tharp, LLC. He earned his Juris Doctor at Emory University School of Law in 2017, and his B.S. in Biology from Georgia State University in 2013. While at Emory Law, Darshan had a diverse range of experiences, in and out of the classroom. During his summers in law school, Darshan interned at employment litigation and criminal defense practices. In Fall 2015, he externed at the Health Law Partnership, where he helped his supervisory attorneys solve various legal problems for underserved families, who could not otherwise afford legal assistance. 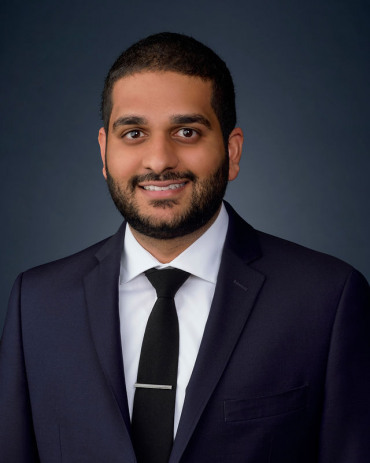 During his last year of law school, Darshan was a law clerk at a highly respected criminal defense firm in Buckhead, where he assisted attorneys with legal research and trial preparations. After taking the bar exam, before starting at Meriwether & Tharp, Darshan worked on plaintiff’s side legal malpractice cases, working with individuals and entities seeking compensation for negligently rendered legal services. During his free time, Darshan enjoys hiking, watching movies, and spending time with family and friends.